Obituary for Arbie Harlan Lee | Hanson & Dahl Funeral Home, Inc.
Arbie Lee of Dawson passed away on Saturday November 17, 2018 at Johnson Memorial Care Center at the age of 92. Funeral services will be held on Tuesday, November 20, 2018 at 10:30 AM at First Presbyterian Church in Dawson with Pastor Herbert Rotunda officiating. Burial will be in the Dawson Cemetery. Visitation with the family will be held on Monday, November 19, 2018 from 5 to 7 PM in the Chapel at Johnson Memorial Care Center with a prayer service at 6:45 PM. Visitation will continue one hour prior to service at the church on Tuesday. Arbie Harlan Lee was born on March 21, 1926 to Alfred and Hilda (Haakenson) Lee in Maxwell Township, Lac qui Parle County. He was baptized and confirmed at Trinity Lutheran Church in Dawson. He attended country school in rural Dawson. Arbie entered the United States Army in 1944 and served until 1946. He served in Japan after the bomb and helped with clean up. On March 6, 1948 Arbie was united in marriage to Bonnie Silvey at the Presbyterian Church in Dawson. They made their home in rural Dawson where Arbie was a farmer for all of his life. Arbie was active in VFW and American Legion. He played Dawson town team baseball from age 16 to age 35. He enjoyed bowling, golf and fishing. Family remembers Arbie as a hard working man of few words. 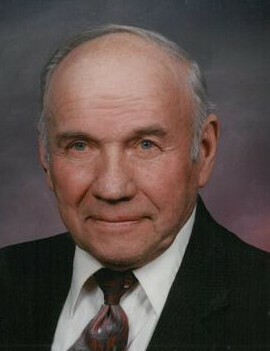 He loved to farm and took great care with his farm equipment. While farming he didn’t need to listen to the radio but just enjoyed the sound of the combine. One of his prized farm equipment was a restored 1954 Minneapolis Moline UB. He would often ride this tractor in area parades. Arbie and Bonnie enjoyed traveling together to Alaska, Hawaii, Florida and Costa Rica.. The most important thing for Arbie was his family. He always had time for his children, grandchildren and great-grandchildren. Arbie is survived by his wife, Bonnie; children: Caren (Duane) Johnson, Montevideo, Marilyn (Mark) Bourne, Dawson, Vallerie (Wesley) Sather, Dawson, Calvin (Cindy) Lee, Hutchinson, Daniel (Karolee) Lee, Madison, Becky (Tom) Reep, Dawson, AFS son, Juan Vargas, Costa Rica; 19 grandchildren; 37 great-grandchildren; brother: Floyd (Dora) Lee, Dawson; sisters: Heloise Ronning, Farmington, Alice Lanoue, Northfield; sisters-in-law: Marge Lee and Sylvia Lee; as well as other extended family and friends. He was preceded in death by his parents, Alfred and Hilda; brothers: Thornie Lee, Elton Lee; and sisters: Leone Kostad and Florence Bauler.